Is it this world or the other that's the dream? And even if the home he remembers is real, how can Jason possibly make it back to the family he loves? The answers lie in a journey more wondrous and horrifying than anything he could've imagined—one that will force him to confront the darkest parts of himself even as he battles a terrifying, seemingly unbeatable foe. 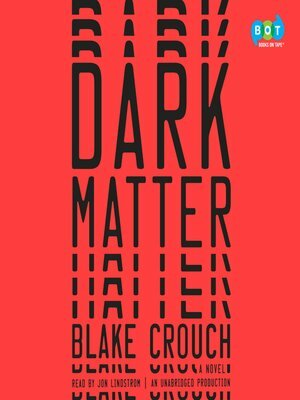 Dark Matter is a brilliantly plotted tale that is at once sweeping and intimate, mind-bendingly strange and profoundly human—a relentlessly surprising science-fiction thriller about choices, paths not taken, and how far we'll go to claim the lives we dream of.